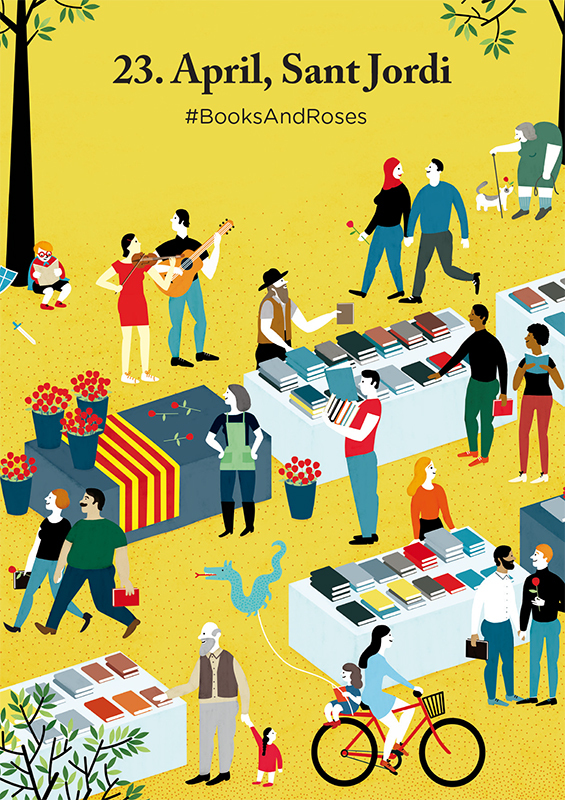 Natalia Zaratiegui created this vibrant illustration for the Catalan government in celebration of Sant Jordi. Natalia’s artwork perfectly captures the romantic festival where traditionally couples exchange gifts; a book for the man and a rose for the woman. To see Natalia's portfolio, click here. Natalia Zaratiegui is represented by Meiklejohn. Published on 23 August 2017.